Littera Graphis has had the pleasure of producing the layout of Denon’s annual catalogue in 10 languages. Thanks to the Eurologos Group, to which Littera Graphis belongs, we were able to provide the technical translations in 10 languages. Managing the localisation and translation of documents enables the provision of high quality work, all while minimising the production costs for our client. 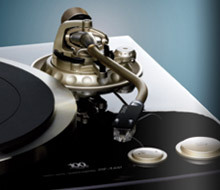 For Denon, audio-video reproduction is not only a matter of industry or trade. It is the quality, emotion and unique pleasure brought by music and image.